Zion, Bryce, Arches, Canyonlands: in these canyons and areas of weird erosion, views you have met somewhere before greet you at every turn. Stunning, inspiring cliffs, canyons, rock arches and much more. Some of the world’s best walking. 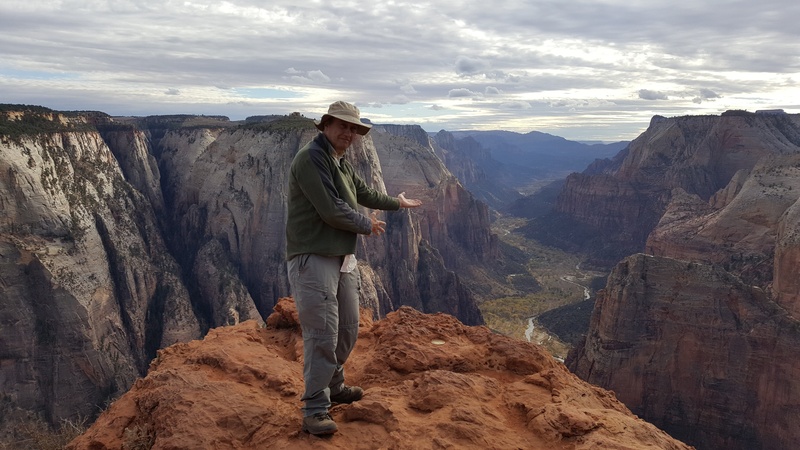 Zion, Bryce, Arches, Canyonlands: in Utah's greatest canyons and areas of weird erosion, views you have met somewhere before greet you at every turn. Stunning, inspiring cliffs, canyons, rock arches and much more. You can make an unforgettable 7 day+ circuit here, taking the greatest landscapes, adding a few others to taste. Capitol Reef: Capitol Reef must be one of the world's thinnest national parks, a very long slice of heavily eroded sandstone along the Waterpocket Fold, a near 100 mile long fold in the Earth's crust. The best known area is the Capitol Reef, around the village of Fruita. Numerous excellent day walks, and overnighters, including to the famous Navajo Knobs [and to the Cathedral… area. Grand Staircase-Escalante: This huge area in southern Utah includes sandstone canyons and slot canyons, high plateau and outlandish formations. Some excellent walking.